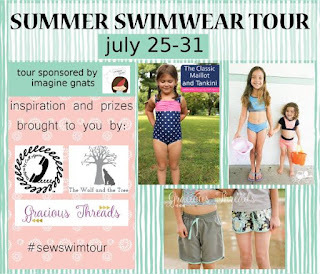 I'm not really a "stop at one" kind of gal, so of course I had to make another swimsuit for this tour! The Wolf and the Tree is offering 15% off patterns in her shop using the code SWIMTOUR as well. I went with the Classic Maillot and after seeing this version from Penny Sew Vintage I couldn't help but hack it into a bikini. I just cut it at the "lengthen/shorten" line front and back for the top and made the briefs. Super easy and adds a whole different look! The yellow and white stripes swim I bought from Peek-a-boo Pattern shop and the Bubble dots are from The Fabric Fairy. We couldn't help take more inspiration from Vintage Sew Pony's and add the straps in the same place too! I'm wishing I had had some board short fabric on hand to make Jess' Swim & Surf Shorts. I have a feeling they're going to be very well loved when we do get some! 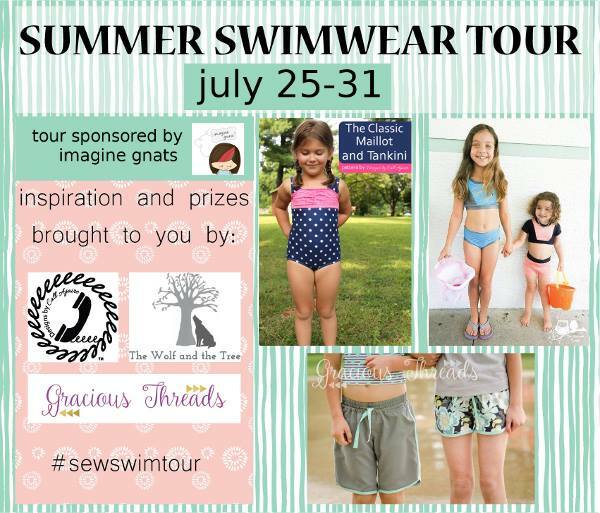 Join in on the Summer Swimwear Tour fun by using the hashtag #sewswimtour to share your favorite swimwear makes. 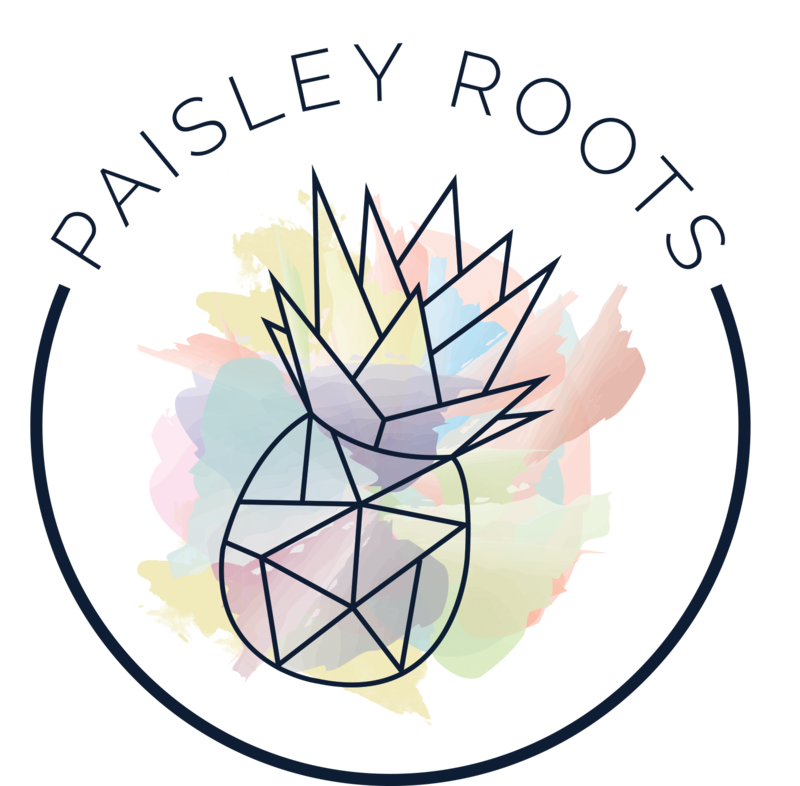 And don't forget to enter the rafflecopter below to win some fabulous prizes from our sponsors! 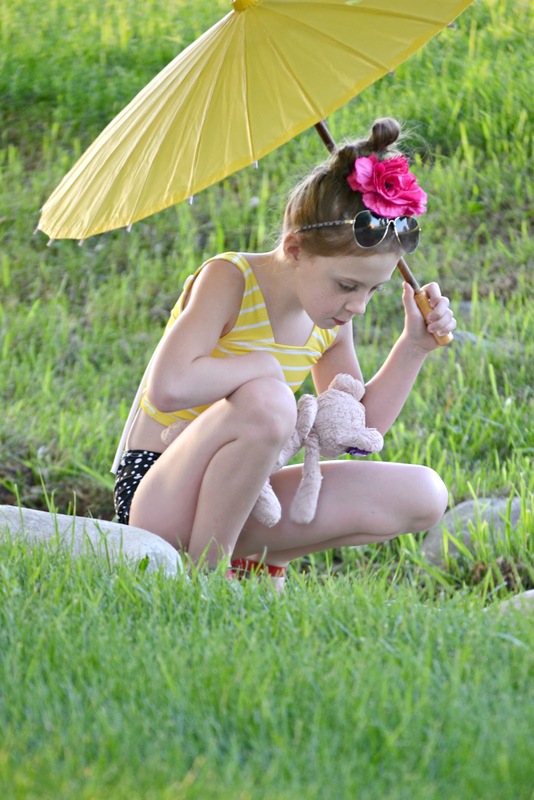 I love this photo shoot Karly! And the fabrics are really cute together too. I definitely have to try this now that I found a good fit for Gigi . She wants a two piece and this is so perfect.